Phew, most of the May craziness is over! We have known Emily and her family for 10+ years..so we go way back! at the beginning of May when everything was in bloom!! because everything is so green and fresh. 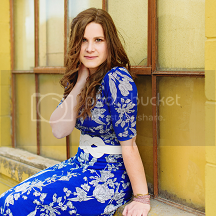 Hope you enjoy my favorites from her session..does she look like a beautiful china doll or what?! I also got to use the 35 mm 1.4 I rented on a few of these..man, that lens is insane. hope you all have a lovely tuesday!! These are lovely, I simply adore her outfit. The 4th one from the top is perfection. What a lovely set of photos! Love the dainty, spring feel they carry. These are very pretty pictures, Hannah. Your photography is always so beautiful. She looks so elegant. I love her curly hair and dress. Well done! Love the spring vibe it envokes. So sweet and simple. My favorite is the second to last so dainty!! !